We are a group of high school students who want to respond to the Lord’s call to be saints and “go and make disciples of all nations” (Mt 28:19). Our apostolic activity is nourished by our conviction that only the Lord Jesus can answer the deepest longing of our human heart. From our relationship with Him, with our own lives, we want to give testimony of an authenticity which can only be found in the Christian Life. We receive training in the faith and leadership skills to share the faith with others. Growing in our life of prayer and personal relationship with the Lord Jesus. Witnessing to our faith in schools, parishes and among our families and friends. Want to know more about HSA? Come to our HSA DAY! 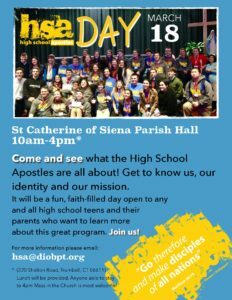 Come and see what the High School Apostles are all about! Get to know us, our identity and our mission. It will be a fun, faith-filled day open to any and all high school teens and their parents who want to learn more about this great program. Join us! Send 1 letter of recommendation to [email protected] or to 238 Jewett Avenue, Bridgeport, CT 06606-2892 to the attention of Maria Cerdena (We recommend that the Pastor of your parish, youth minister, Director of Campus Ministry or Chaplain at your school, teacher, guidance counselor, or coach send the letter). A committee will review the applications and letters of recommendation received in order to select those who will be invited to join the High School Apostles Program and inform all the applicants of their final decision. Those who have been selected will then receive a letter with the information, calendar and mandatory upcoming activities for new HSAs. 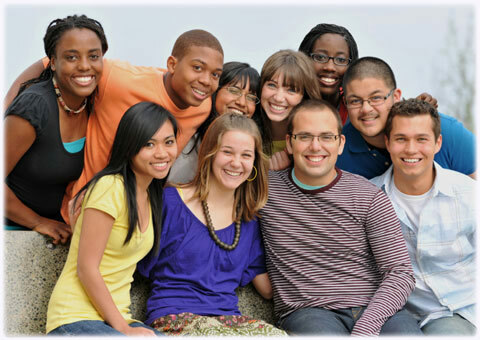 A youth group is like a Catholic Club where high school students meet regularly to share in faith and friendship. Typical youth group meetings include prayer, discussions about important issues, learning about the Catholic faith, games and other fun activities. The most important part of a youth group is to form friendships with other youth who share the same faith and desire to grow in their relationship with the Lord and knowledge of faith. 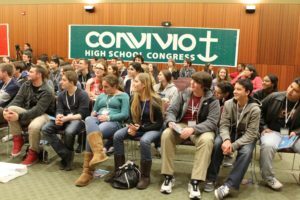 Many parishes have youth groups, and if your parish does not have one, you can attend one in your town or area. The Catholic Service Corps was kicked off in September of 2016 with the formation of twelve chapters from throughout the Diocese. The Catholic Service Corps coordinates youth service opportunities with aid agencies throughout the Diocese in an effort to foster service, create community and base the need for service within the constructs of the Seven Catholic Social Teachings. Our chapters come from the Catholic High Schools and Colleges within our Diocese and several parish based youth groups. The Corps comes under the direction of the Youth and Young Adult Formation Department of the Diocese. 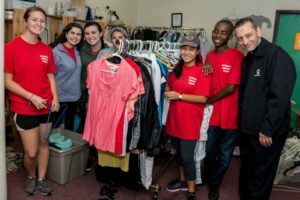 There is no fee to join the Catholic Service Corps and programs are run throughout the year so there are plenty of opportunities to serve within your own schedule. If you are interested in participating or your school or parish organization is interested in forming a chapter or you are a service agency in need of volunteers, please contact Michelle Smith, Coordinator of the CSC at [email protected] for more information. The Diocesan Choir for Youth, known as C4Y, was the fulfillment of Bishop Frank Caggiano’s vision to provide another option for young people to serve! Meet other singer from all over the Diocese!!! Now in its second year, the Choir has amost 100 members, which also includes returning college students who are always welcome to join us whenever they can. There is no cost to join. Each member is provided with C4Y robe and music. The choir sings two concerts a year. The Arise and Shine Christmas Concert and Lift Every Voice Spring Concert. The Choir is also called upon be Bishop Caggiano to sing for Diocesan events and special Masses throughout the year. The Director, Mary Bozzutti Higgins, can be reached at [email protected] for any furtehr inquires. All time spent in rehearsal, concert or Masses count as service hours. Yes! Music is an important ministry and your participation is valued! This exceptional week is filled with exciting activities, events and experiences including faith instruction, small group conversations about real life issues, music ministry, prayer, reflection, liturgy, journaling, community service, keynote speakers, a day trip to The Cloisters, fun activities every day, all meals and snacks, rooming with peers and mentors in the residence hall and free time. There are no costs. This Summer Theology Institute is funded by the Lilly Endowment. Everyone selected to participate in this program will receive a $500 scholarship. Only 24 high school youth can be accepted for this Summer Institute. Applications must be in no later than May 1, 2016.